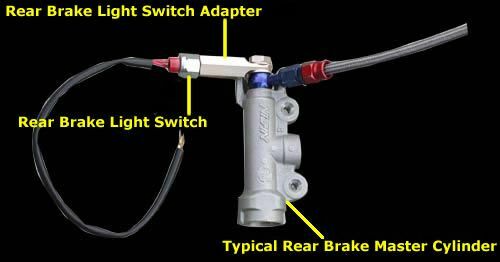 Adapter kit to allow alternate installation of rear brake light pressure switch included with most Sato Racing rear set kits. Adapter kit includes a double banjo bolt and crush washers. Brake light switch is NOT INCLUDED with adapter kit. Please verify thread pitch of your master cylinder and pressure switch prior to ordering.